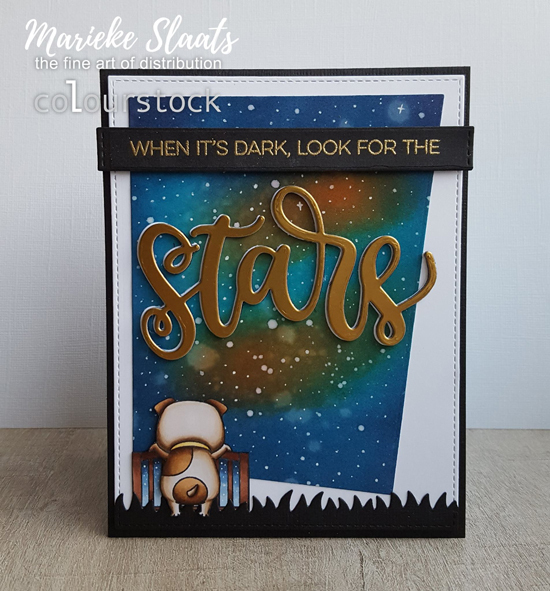 We're in love with this gorgeous night sky created by Marieke featuring a beautiful blend of blues and golds with stars scattered on top. The addition of the large gold sentiment and the sweet puppy looking off into the night sky completes her dreamy scene. 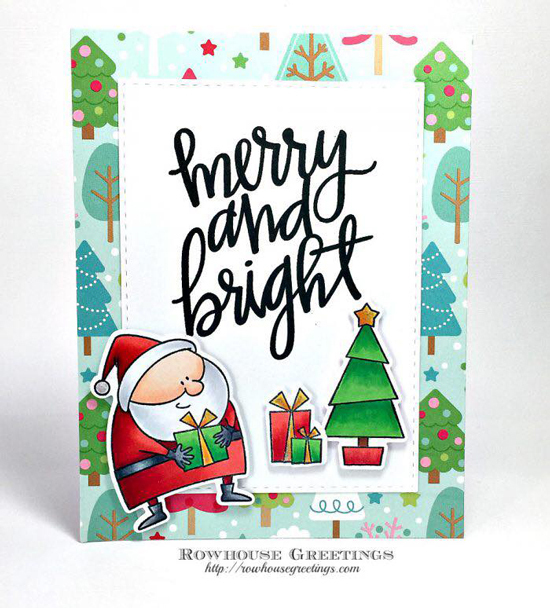 We couldn't resist spotlighting one more holiday card - Nancy created a colorful and festive scene on a white card stock panel and backed it with coordinating patterned paper. 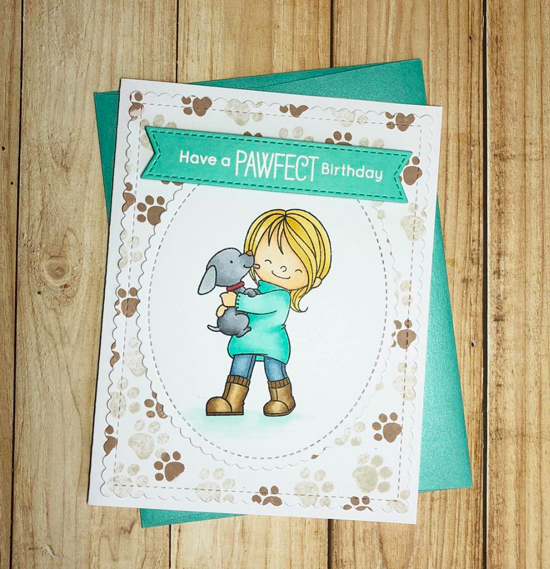 The large script greeting adds to the playful look of her card and is a great focal sentiment on her design. 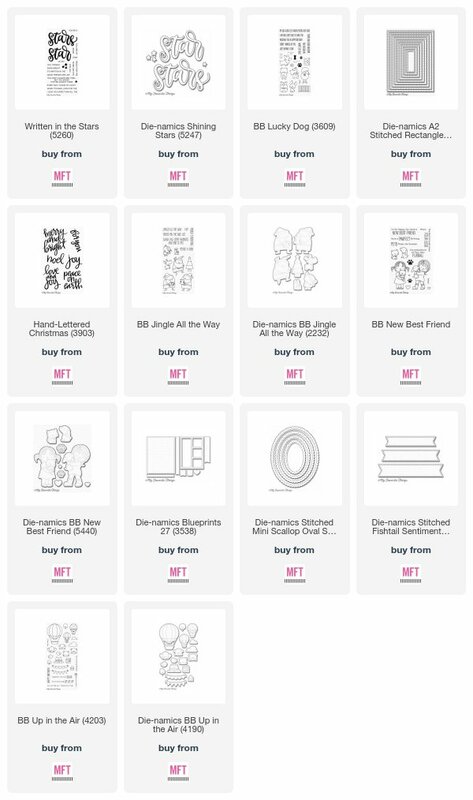 Using smaller stamps included in stamp sets is a great way to create custom patterned paper that you can use on your card designs. 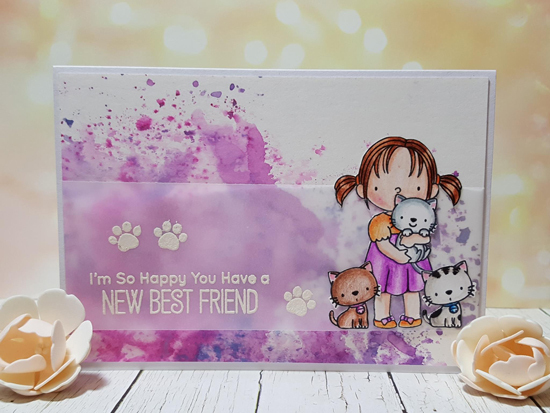 Dedra used the pawprint from the Best Friends stamp set and created a gorgeous background panel that perfectly coordinates with her main image. Sandra created a beautiful watercolor background before adding her sentiment and stamped images. We love her use of vellum to help separate the white heat embossed sentiment from the colorful backdrop on her card. 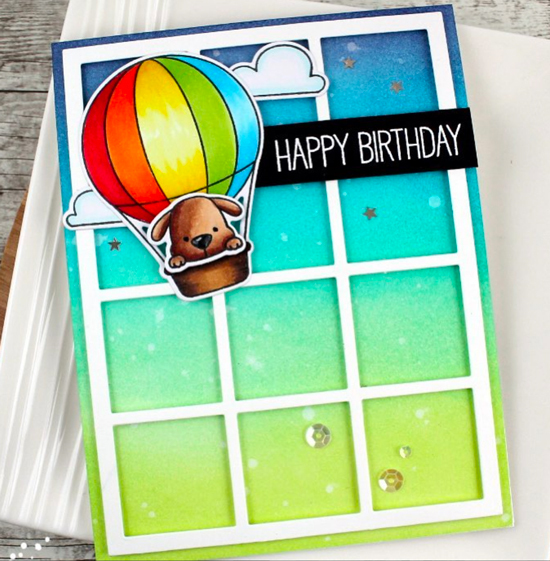 How cute is Karren's bright and colorful card base? Adding the white card stock grid helps her central image stand out against the gorgeous background on her design. Oh wow thank you so much for featuring my card! I feel so honored. Thanks so much for featuring my card here. I'm thrilled! Congrats to Sandra, Dedra, Nancy and Marieke - gorgeous cards!